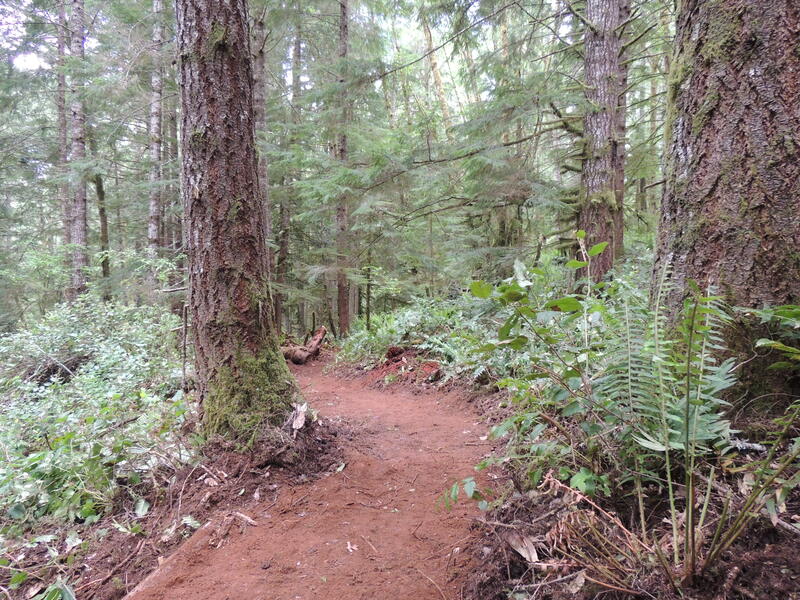 Alsea Falls was one of the most beautiful XC courses I’ve ever ridden, hands down. I finished 3rd in my CAT 2 19-39 category a few seconds behind 2nd place. Our race was 18 miles with 2,400 feet of climbing. The race started out on asphalt for about 1 mile and then turned into a moderately steep ascent that immediately split the field. I managed to stay in the top group and after about 2 miles of climbing the track turned into the first downhill – fast and steep, it later turned into the first section of one of the finest single trails of its kind. The track led back to the starting point and back on asphalt for about another mile. Then, the 2nd climb up to the top of the mountain and this was where we started passing the first women, clydesdales, and singlespeeders who started a few minutes earlier in the race. The downhill led into another two single tracks packed with berms, rollers, and some nice technical terrain. One of these sections is 1.6mi long and you can roll downhill at max speed almost without needing to pedal. The last lap was ~7 mi and started with a 1,200 ft climb over a few miles. My group had split by that point and I was on my own, but very soon closed the gap on the way up passing about a dozen+ riders including a few cat 1s. The next ~3 miles were purely downhill and went by very fast. Somebody crashed right in front of me on the last single track right before the finish line, but I managed to not crash into him. The last few hundred feet was on asphalt with a ~10% elevation gain sprint up to the finish line. Alsea Falls is in the middle of the forest and so was pretty much the entire race. There are two really nice videos of the single tracks on the race website.